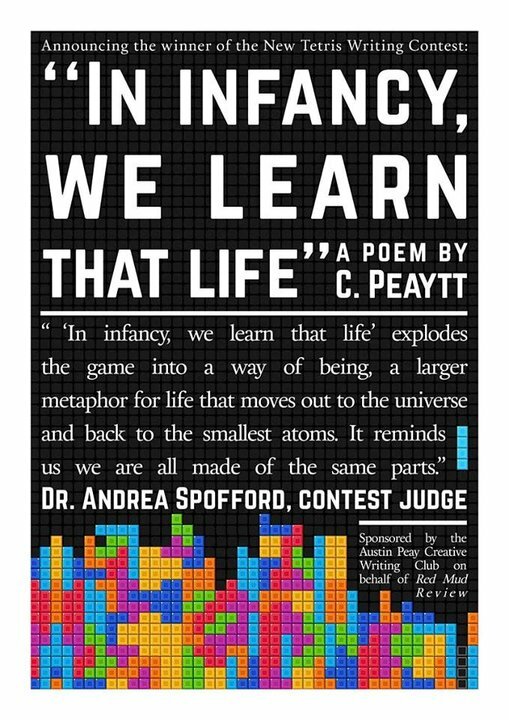 For the 2014-2015 issue, the Red Mud Review hosted the New Tetris Writing Contest judged anonymously by Dr. Andrea Spofford. To learn more about the contest, visit the contest event page here. Congratulations to C. Peaytt for her award-winning poem! The journal was also proud to publish "At 39 Hz" by Nan Pincus as Honorable Mention for the contest. Both C. Peaytt and Nan Pincus's work can be read in 2014-2015 issue of the Red Mud Review.